A story about reconnecting about a love affair with creativity. Friday morning I was looking at myself in the mirror of a sad fitting room at a dancewear store in Westwood. I tried a couple of leotards and felt like a poorly wrapped tamale. Sigh. “You’re really doing this, aren’t you?,” I asked myself. Yes, I was. I chose one that didn’t look as bad on me and headed to the shoe section. I asked the salesperson for my size, and when I tried the first slipper on, I felt a sudden happiness that I recognized from a long time ago. It was like the moment Cinderella tries on the crystal slipper that only fitted her. Only her. 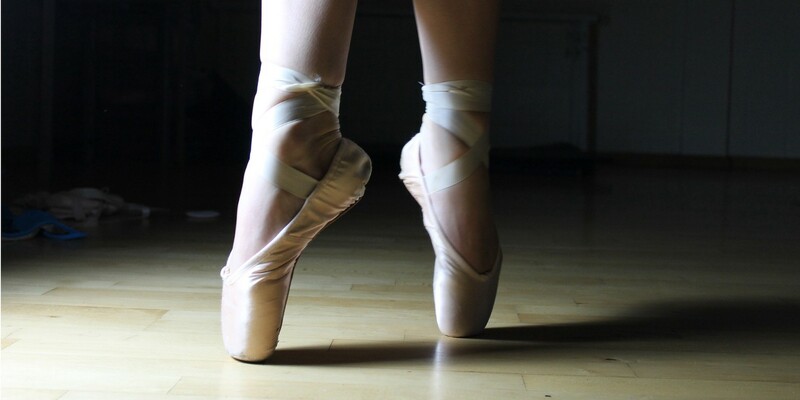 I was nervous, after all, I haven’t stepped in a ballet class in years. Twenty-five years, to be exact. Back in the day, my friend Amy was professional ballerina; she traveled the world with a dance company. She is slender, elegant, and beautiful, and despite her having three children she still has the ballerina body. I don’t. I danced for almost a decade until I was a moody and insecure adolescent who was too busy dealing with peer pressure and boys and decided to quit (thank you very much, fourteen-year-old me!). It still doesnt’ make any sense to me because I loved it. When I danced to the notes of the pianist I forgot about everything. I felt one with the music, and the smell of the wooden floors, and the bar, and the noise of other dancers’ and my feet hitting the ground after a sauté. Sigh. Oh, and the French words, I always loved the French words. I dreamed of becoming a professional dancer, but I guess I thought that was aiming too high. Plus, I also had the misbelief that I had to choose a “normal” career (…and how did that go, my friend?). When I arrived to the class, I was already sweating. More so when I signed up and read that it was an advanced class; I pictured the class filled with young, beautiful and slender ballerinas. To my surprise, I found people of all genders, sizes, and ages. There were three women in their late sixties — one of them en pointes (!! )- a couple of older men (with not the typical ballet body), young women, women my age, all with one thing in common: their love for ballet. In spite of not having a typical dancer’s body or age, they were all beautiful and skilled. Appearances can be deceiving, I guess. Amy introduced me to her teacher. I told him to please bear with me since the last time I set foot in a ballet class was twenty-five years ago. He did. He gave me knowing and compassionate smiles every time I messed up. He said that my brain would probably not remember the combinations and the positions but that my body would. He was encouraging and supportive, he saw the little dancer in me. Oh boy, if someone had recorded that class they could get big bucks from bribing me! I am afraid to report that neither my body or my brain remembered any of the combinations, one woman even told me that there was a “baby class” on Wednesdays, but I didn’t care. What my brain and my body did remember was a long-time stored feeling of happiness and belonging. To listen to the pianist, the smell of the wooden floors and the scraping and bumping of our dancers’ feet, that, I remembered. I connected to a part of me that, up until now, I’ve disregarded. The part of me that dreamt of being a ballerina, the part of me who didn’t care if I was doing it right or perfect but was willing to dare and fail, to keep trying, to be brave and to follow my dreams. I wonder how or when is it that some of us get disconnected with that part of ourselves, with the dreamer within us. What I do know now is that I want more of that, I want more art, dance, music, and creativity. I want not just to be a part of my life, but to be my life. I want to teach my children to keep that part alive and present within them at all times. I want to dance (not in an advanced class), I want to write, and to create. I want to have a love affair with creativity and live happily ever after. It is funny how life has this unexpected turns, there I was trying on a leotard thinking I was helping out a friend, and as it turns out, she was the one who helped me reconnect with myself, with my true-self. Thank you, Amy! P.S. This piece is dedicated to my friend Ana. Who danced, laughed, and shared the joy of ballet with me all of those years. I love you, my friend. Marcela Silva has been a storyteller even before she learned how to speak and has been a writer before she could hold a pencil. She kept her love affair with words in a closet until it got so loud and big that she had to let it out. An eternal student and a creative creature that has taken a myriad of courses, among others: Creative Writing, The Method Writing with Jack Grapes, French, Translation, Fashion Design, Cooking, Art, Drama, Photography, and Sculpting. She hopes nobody ever finds her "sculptures" (note the quotes). Marcela studied International Affairs at the Universidad Iberoamericana in Mexico City and holds three certificates in Spiritual Psychology from the University of Santa Monica: Soul-Centered Living I, Life Mastery and Soul-Centered Living II, and Consciousness, Health, and Healing. She lives in Los Angeles with her family.